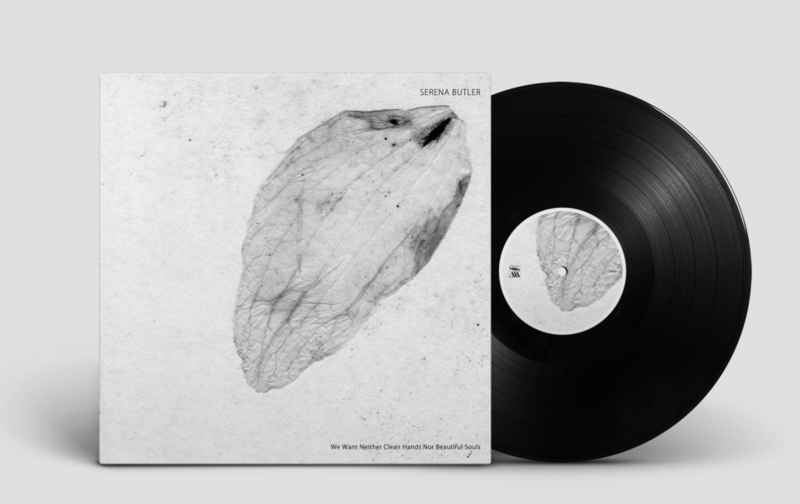 Serena Butler returns to the fore with an EP for Stroboscopic Artefacts. 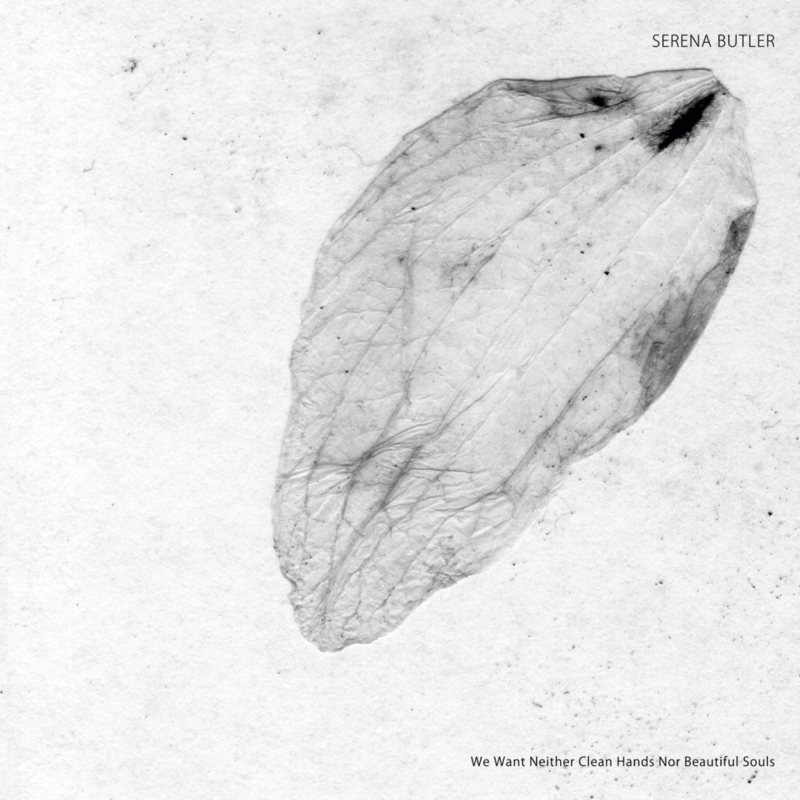 “We Want Neither Clean Hands Nor Beautiful Souls” is a four track recording of Butler’s personal juncture with the Queerverse and his engagement in queer politics, an elaboration on the alternate freedoms and minimal politics of alienation introduced with her 2016 release on Eerie. By bringing her mission of inclusion and diversity to Lucy’s Berlin based imprint S>H/E has found a kindred spirit in the pursuit of, what SA describes as, “an incessant accretion of new ideas and new formal elements that must transcend any self-limiting expectations of genres or cliques”. 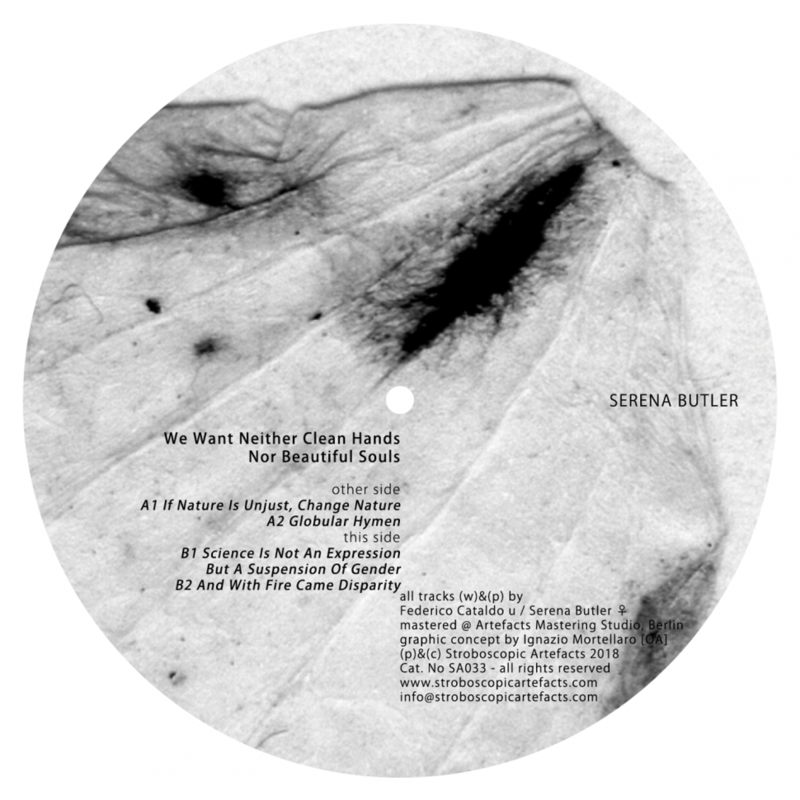 This release embodies the shared revere that Butler and SA have for the subversive power of techno; or, as Butler says, “the explicit, organized effort to repurpose technologies for progressive gender political ends”. 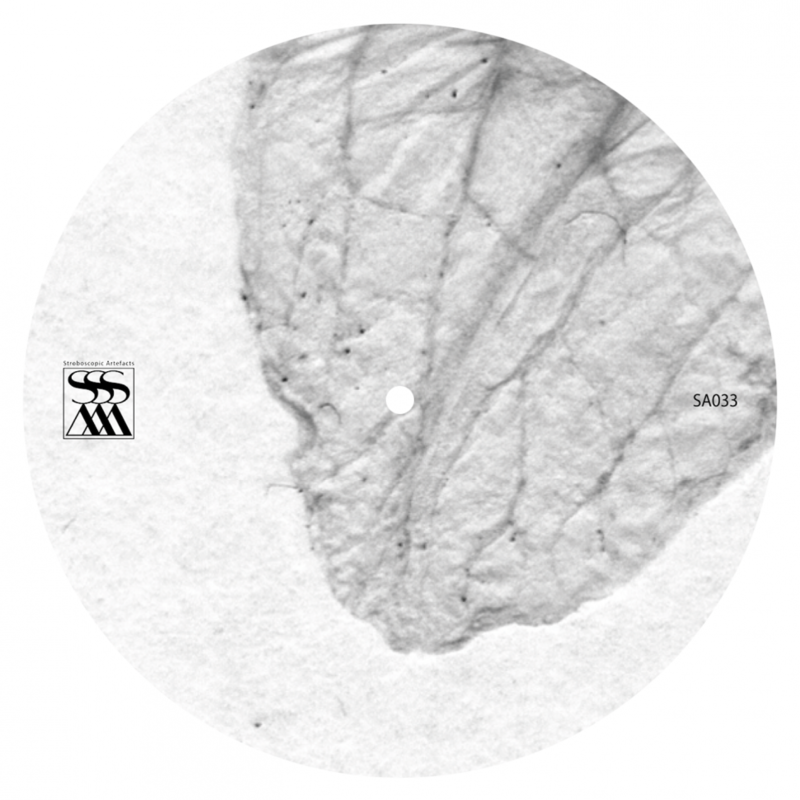 The EP’s path begins with the opener “If Nature Is Unjust, Change Nature”, a shadowy crescendo of whispered rhythms and minimal-synth leitmotivs from alt-clones of Rrose and Second Woman grafted memories. “Globular Hymen” is the club supernova of the lot; an interstellar blizzard of layered arpeggios, which hit like the wrath of a pantheon of angry goddesses. “Science is not an expression but a suspension of gender” lays on the feel of afterlife, a dubbed-out lullaby between lo-fi drums and subtle interference patterns of noise. This is the sound of Butler getting between you and your ears; reminding you to step back from certainty and imperative judgments. Last but not least, “And with sexism came disparity” unleashes a vocal swarm of declaration and rebellion. Despite the straight-forward title, this is a true Demdikesterian mutant-techno stepper, with neither clean words nor a beautiful soul.